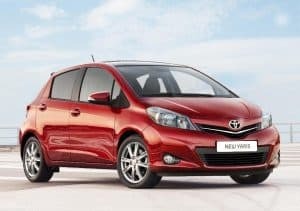 More than 46,000 UK-based Toyota cars have been recalled over a faulty airbag issue affecting around 2.9 million Toyotas globally. Some 46,604 cars in the UK are included in the Japanese car maker’s latest round of recalls. This is made up of 32,714 Yaris models, built between February 2007 and December 2012, and 13,890 Auris models, produced between December 2002 and March 2004. The issue centres around airbag inflators that could explode with too much force, or deploy inadvertently, if exposed to heat over an extended amount of time. Owners of the affected cars will be contacted in due course with Toyota working with the DVLA in an attempt to identify owners. However, this may prove to be time-consuming. Luckily, the fix isn’t a lengthy process, taking between 30 minutes and three hours depending on the model. If you suspect any of your Toyota fleet vehicles are included in the recall, contact your local Toyota dealer to arrange a fix.